Tell me where you are and where you want to go. You might have a general idea of where you stand but it would certainly be easier to achieve if you have a map to show me, isn't it? Same thing happens with sales: you certainly know "more or less" how customers come to your store and buy, but it would be much easier if you had a graphic. 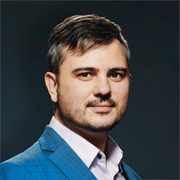 Here comes the Sales Funnel (sometimes called "purchase funnel", "customer funnel", "marketing funnel", "conversion funnel" or even "sales pipeline": all these are the exact same thing). The following graphic shows how you transform a lead into a prospect then into a customer. What is it: the awareness stage is the stage where people "heard of you" or "have seen you". They are aware that you exist without really knowing you. This is the entry point. People will HAVE to know you before buying from you. How to get people here: advertisement, promotion, word of mouth, marketing campaign, guerilla marketing... any method that will let people know you exist will bring more leads to the awareness stage. What is it: A certain percentage of those people who are aware you exist go to the next step. Here you "educate them": you let them learn more about your brand, what you do, what are your values, etc. What should I do: Those people are still leads. It is for you to educate them and show them your product: don't do aggressive sales at this point! Those people are not quite ready to buy yet! Product information, description problem/solution... this is the right way to go. What is it: this is the stage where people turn into prospects. If they are still around, it means that they somehow have interest in your product. However, it is time for them to think it through. What Should I do: there is not much to do here: it is really time for the prospect to digest all the info you gave him and make up his mind. Hold on: really? Can't I influence him somehow? Sure you can! It might be time to give him a demo version, a free sample, etc. Let him experience your product by himself: it is the best way to speed up and confirm this stage and bring him to the next stage. What is it: at this stage the prospect hesitates. Here is a very important step of your funnel as a large percentage of people will not go through. How to push people to next stage: it is now time to make a decision and this is something you cannot do for them. What you CAN do however and help people deciding by throwing an extra bone: discount, limited offer, special reward program, etc. What is it: The prospect has decided to buy your product! Congratulations! But... hold on. The sales isn't made yet! At this stage you will give a contract (offline) or a purchase page (online): you might still lose your potential customer at this stage! How to make sure they sign: it really depends on your industry. Start by making sure the contract is clear, the form isn't too long or complicated... go straight to the point! Get the sales first, bother with minor details later! What is it: Hooray! You made it! The prospect is now officially a customer and you have sold your product! What's next: Hold on, it is not finished yet! Have you noticed why we talk in terms of "funnel"? You start with a very large number of people and after lots of efforts you convert a very small portion into customers. In terms of profitability, keeping an existing customer is more interesting the acquiring a new one. Of course, you will need to do both if you want to survive (concept of the "Leaking Bucket"*). This is why it is now important that you bring people to the last stage. What is it: This final stage is where a customer becomes "loyal". He comes back to purchase again and, eventually, talks about you brand around him. 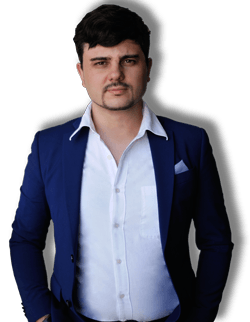 How to get him here: There is no magic trick to reach this point but there are several methods that can ease the process. You could start by getting your customer's information: email and phone for example. That way, you could contact him again next time a similar product is available. You can then offer him loyalty programs, discounts, gifts... all methods can be considered based on your specifics. If you are ready to consider solutions to improve loyalty, I invite you to read "The mismanagement of customer loyalty". Now you know exactly the process of transforming leads into customers. It is for you to define what to do at each stage to push as many people as possible through each stage of the Sales Funnel. 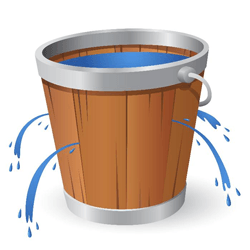 * The Leaky Bucket: your customer base is like a bucket with a hole in it. Even if your bucket is full of loyal customers, they will slowly leak out and you have no other choice but to bring some new customers in regularly to keep the business up.